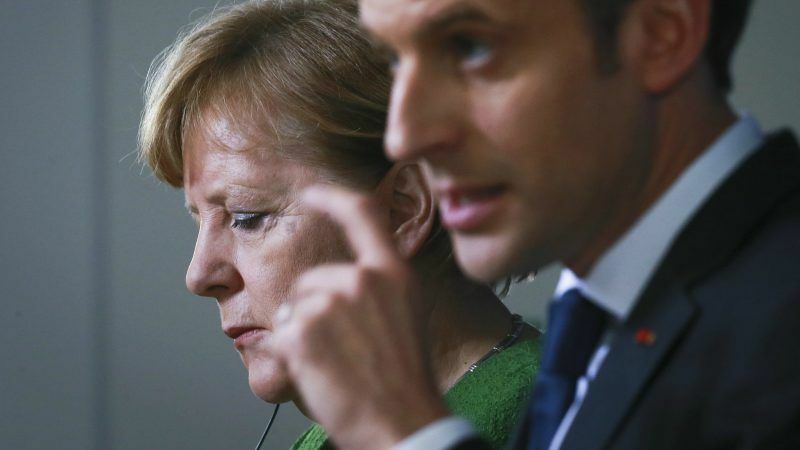 The EU’s temporary exclusion from punitive US tariffs on steel and aluminium “did not appear satisfactory to us,” French President Emmanuel Macron said after an EU summit on Friday (23 March). “Europe will not waiver,” he said. “By principle, we discuss everything with a country that is a friend and complies with WTO rules,” the French president replied when asked about the looming trade war between Europe and the United States over steel tariffs. “(But) we talk about nothing in principle with a gun pointed at our head,” Macron said during a joint press conference with German Chancellor Angela Merkel after the summit, meant as a show of unity. “The American strategy is a bad strategy” although it comes in response to “a real problem” of overcapacity in steel production and dumped exports from China, Macron said. But “unilateral” reactions are not the answer, the French President emphasised. In a proclamation issued on Thursday (22 March), US President Donald Trump said he would suspend steel tariffs for Argentina, Australia, Brazil, South Korea, Canada, Mexico and the European Union until 1 May 2018, amid ongoing discussions. But the 40-day exemption was like US President Donald Trump “putting a gun to our head”, Belgium’s prime minister said, using the same expression as Macron. The EU’s trade chief, meanwhile, demanded that the United States drop “artificial deadlines”. Talks with the US should continue, said Merkel, expressing hope to secure a permanent exemption from the tariffs. “We don’t want to enter into a spiral where at the end of the road we all lose,” the German Chancellor said. “To be very clear, if the United States conform themselves to WTO rules, our will is to speak about all subjects,” Macron said, leaving the door open to discussions. The third is that Europe will show “a united front” in the face of trade disputes and won’t accept to be “the weakest link” of globalisation. “If we are attacked, we will react without wavering,” Macron emphasised. Macron’s comments echoed the leaders’ official conclusions from Friday, which said that Trump’s decision to give the bloc a temporary exemption was unacceptable. “It seems to me highly impossible to cover all issues we have to discuss with our American partners from now to 1 May. And we are asking for permanent exemption,” Juncker told reporters at the end of the two-day summit. 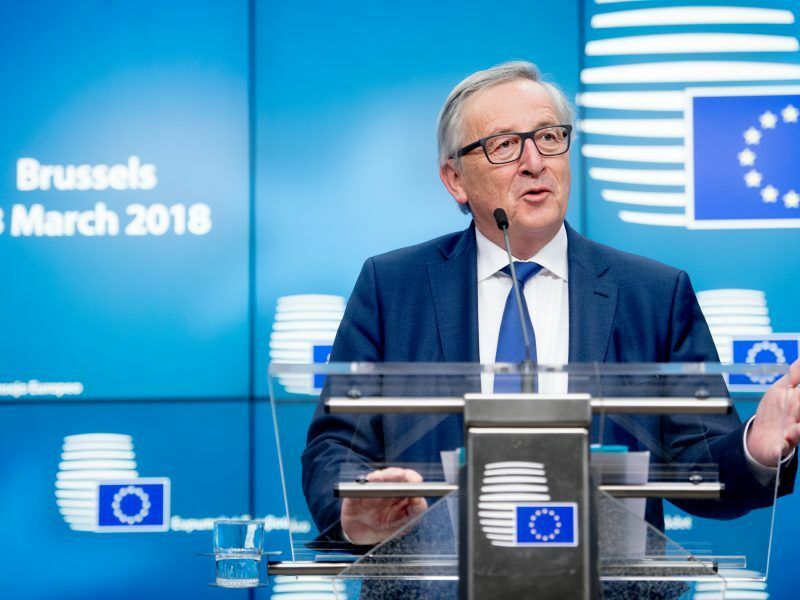 The EU is unlikely to secure permanent exemption from US steel and aluminium tariffs by the time President Trump’s stopgap reprieve from the measures expires on 1 May, Commission chief Jean-Claude Juncker said Friday.